Santa Cruz Limo is proud to offer beautiful, elegant and reliable limousine services to customers throughout the Santa Cruz and surrounding areas. We service Capitola, Aptos, Watsonville, and all cities surrounding the beautiful city of Santa Cruz. As a premier luxury limo company, we are dedicated to providing exceptional transportation services to our customers at the unbeatable rates. Travel from anywhere within Santa Cruz or take a trip to Monterey, Carmel, San Jose or the Bay Area. It doesn't matter where you need to get to, we've got a beautiful vehicle and professional driver to get you there in safe and timely fashion. If you need a quick trip to and from the San Jose International Airport, give us a call today and we'll have you set up in a giffy. Our Town Car sedans and SUVs are the perfect vehicles for those quick airport trips. 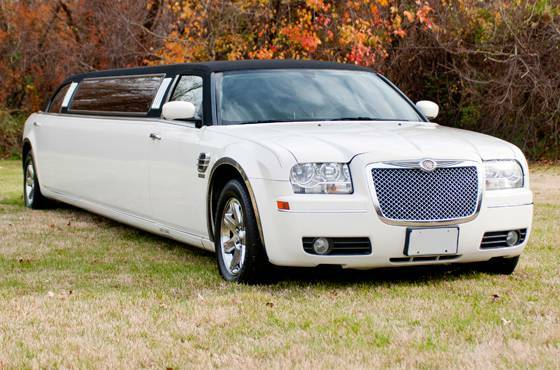 Need a limousine for a more elaborate occasion? Our limos and party buses are great for birthdays, proms, weddings, bachelor and bachelorette parties, wine tours, corporate, concerts, anniversaries, quinceaneras, sporting events-- you name the occasion and we can get you there. We have a spectacular fleet and an extraordinary selection of luxury vehicles to pick from-- from Town Car sedans, SUVs, classic stretch limos, SUV limos, and party buses. All of our vehicles are fully insured and licensed, and maintained to the highest level of safety and standard. You will appreciate the great professionalism, politeness and punctuality from our dedicated chauffeurs who have a great many years of experience in the limousine industry. They are also very familiar with the Santa Cruz, Bay Area, Monterey, and all surrounding areas. We treat all our customers like family and provide only the best service available. From the initial conversation with our staff to the final drop off by our chauffeur, you will receive nothing but VIP service from start to finish. Our goal is to exceed your expectations by miles and perform our job to the greatest level of customer satisfaction. You will not be disappointed with the 5-star professional service from our dedicated staff. Here are a few reasons why we are the Best Limo Service in Santa Cruz, CA. We will exceed your expectations. We know that giving our customers a limo experience that they will never forget will bring them back time after time. Our goal is to earn your loyalty and business. Our drivers are professional. You can expect complete professional and world-class service from our friendly drivers, who will deliver prompt door and luggage service, and pay special attention to all your needs. Our prices are unbeatable. Besides our awesome service, Santa Cruz Limo takes great pride in having one of the most competitive prices in the area. As we always say, we love to under promise and over deliver! Our chauffeurs are punctual. What can be worse than a limo service that runs late. Never with us! You can expect our drivers to arrive fashionable early for your anticipated pick up. We carry a safe driving record. We take great pride and satisfaction in maintaining a safe driving record with our customers. You can feel at ease when riding in our vehicles, as they are licensed, insured and receive regular inspections and maintenance. We have the best looking fleet in town. You will be riding in ultimate style when you ride with us. Don't take our word for it. Call, book and find out! From our classic stretch limos, SUV limos, and party buses, out limos will stand out from the inside out. If you are looking for exceptional limo service in Santa Cruz, then look no further. Our amazing and dedicated staff is ready to take your call and answer any questions you may have about our rates and services. We look forward to providing you with the best limo experience ever.